Thirty to 40 percent of people with epilepsy don’t fully respond to anti-seizure drugs. Vagus nerve stimulation (VNS) is a technique used to treat epilepsy when other treatments haven’t worked. It can also be used as a treatment for hard-to-treat depression that hasn’t responded to typical therapies. Recent human and animal studies provide growing evidence that vagal nerve stimulation can deliver strong pain –relieving effects. The literature is beginning to reveal that VNS can help patients with fibromyalgia, chronic pelvic pain, trigeminal pain, and chronic headaches and migraine. For instance, in a small study on fibromyalgia, patients reported improvement in tender points, and five patients no longer met the fibromyalgia criteria at that time for widespread pain or tender points at the 11 month follow up. 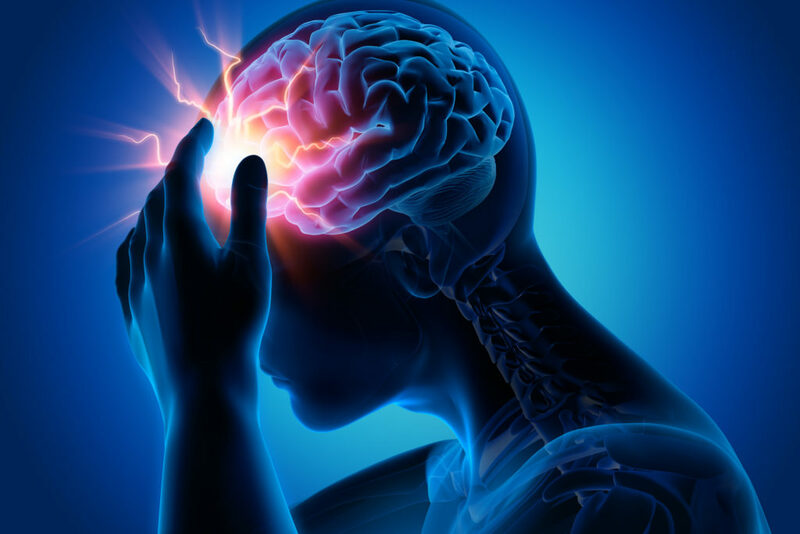 Studies in headache patients reveal that VNS has the potential to reduce acute migraine attacks and reduce the number of headache days among chronic headache sufferers. Although no clear mechanism has been described for its analgesic effects, some research shows that VNS decreases inflammation and inhibits painful impulses that travel in the spinal cord. There is one vagus nerve on each side of your body, running from your brainstem through your neck to your chest and abdomen. The vagus nerve controls bodily functions such as heart rate, gastrointestinal movement, sweating, muscles of the larynx (speech), and contains sensory fibers on the inner portion of the ear. Eighty percent of the vagus nerve fibers are sensory and convey sensations of taste, as well as transmit nerve impulses from the body and organs to the spinal cord and brain. Involves implanting a pacemaker-like device under the skin on your chest on the upper left side that generates pulses of electricity to stimulate the vagus nerve. A wire is threaded under your skin connecting the device to the left vagus nerve. The right vagus nerve is not used because it carries fibers that supply nerves to the heart. When activated, the device sends electrical signals along the vagus nerve to your brainstem, which then sends signals to certain areas in your brain. The device is meant to be a permanent implant, but it can be removed if necessary. It is about the size of a stopwatch and runs on battery power. A few weeks after surgery, it is turned on during a visit to your doctor. It can be programmed to deliver electrical impulses to the vagus nerve at various durations, frequencies, and currents. It usually starts at a low level and is gradually increased, depending on your symptoms and side effects. Stimulation is programmed to turn on and off in specific cycles. You may have some tingling sensations or slight pain in your neck when the nerve stimulation is on. Programming is performed at the physician’s office using a hand-held programming device. You are given a magnet so that you can initiate a stimulation yourself if you or others sense the beginning of a seizure. It can also be used to turn it off. More specific side effects include changes to voice, heartburn, shortness of breath, and sleep disturbance. Many of these improve over time, though. New, noninvasive vagus nerve stimulation devices, which do not require surgical implantation, have been approved for use in Europe to treat epilepsy, depression, or gastrointestinal disorders. They are also being studied for chronic pelvic pain, and headache. They have not yet been approved for use in the U.S. These transcutaneous VNS devices are worn like an earphone and stimulate the branch of the vagus nerve in the inner ear, or are applied to the skin of the neck (handheld device) in order to activate the vagus nerve. It is being studied as a potential treatment for multiple sclerosis, headaches, pains, and Alzheimer’s disease. VNS therapy has exciting potential for treating several painful conditions. An implantable device that stimulates the right vagus nerve is also under study for the treatment of heart failure. Vagus nerve stimulation is not a cure. Most people do not completely stop having seizures and some continue taking some of their medications along with the device. The device may shorten your recovery time after a seizure. Many patients have been reported to have 20 to 50 percent fewer seizures. For depression, it may be several months before a noticeable change. The technology is still changing and adapting to the unique needs of chronic pain patients. Posted in Blog, Innovative Methods, Procedures, Top Pain Reliefs.